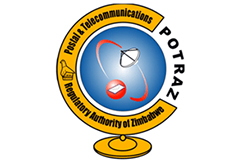 The Postal and Telecommunications Regulatory Authority of Zimbabwe (POTRAZ) was established in terms of the Postal and Telecommunications Act [Chapter 12:05]. 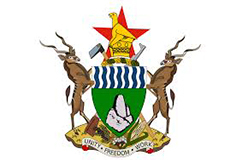 (a) To ensure the provision of the sufficient domestic and international telecommunication and postal services throughout Zimbabwe on such terms and conditions as the Authority may see fit. ( g ) To promote the interests of consumers, purchasers and other users, in respect of the quality and variety of postal and telecommunications services provided and telecommunication apparatus supplied. ( o ) To advise the Minister on all matters relating to postal and telecommunication systems and services. (2) Subject to this Act, for the better exercise of its functions the Authority shall have the power to do or cause to be done, either by itself or through its agents, all or any of the things specified in the Second Schedule, either absolutely or conditionally and either solely or jointly with others. (3) Subject to this Act, the Authority shall not, in the lawful exercise of its functions under this Act, be subject to the direction or control of any person or Authority.